The very excellent Boss Fight Books series is coming back for a third season! 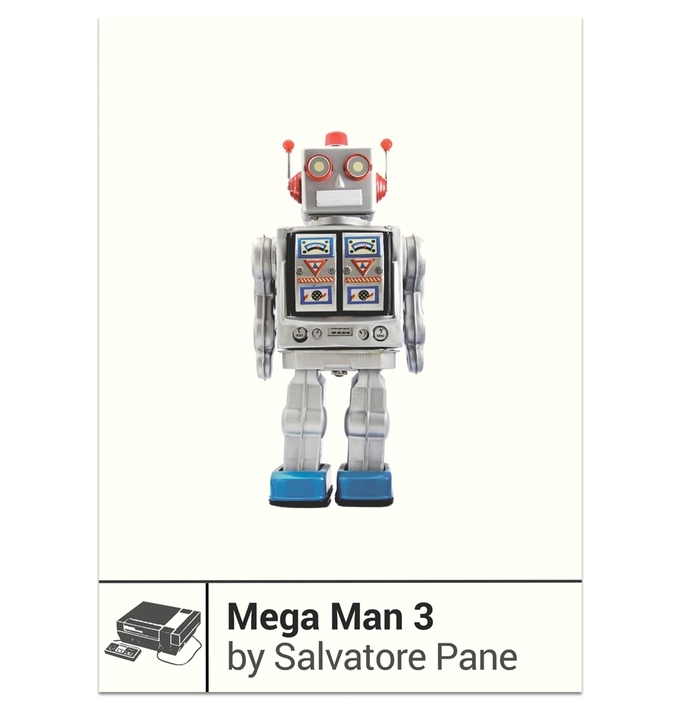 This time around, there's going to be an entire book devoted to the development history of Mega Man 3. Written by Salvatore Pane, the book explores the ins-and-outs of the divisive sequel and why we're so obsessed with it after all these years. "Capcom's Keiji Inafune followed the unexpected success of Mega Man 2 with a "kitchen sink" sequel that included eight new robot masters, a canine companion, a mysterious new frenemy, and a melancholy tone that runs through the game from its soft opening notes. Mega Man 3 was the biggest, messiest, and most ambitious Mega Man game yet. But why do we hunger for twitchy, difficult platformers like Mega Man 3 decades later when the developers, the franchise, and the Blue Bomber himself have all moved on, and why do we still revere the outmoded gaming consoles and cartridges on which the games were originally played? Investigating the development of the Mega Man series with the rise of video game emulation, the YouTube retrogaming scene, and the soaring price of NES carts, novelist Salvatore Pane takes a close and compelling look at the lost power-ups of our youth that we collect in our attempts to become complete again." The third season of books has already surpassed its initial funding goal. However, if you want to secure a copy of your very own, back it! Check out the campaign's page for full details. Sorry for sounding annoying, but you put Salvadore instead of Salvatore(the error is at the top). And yes I'm interested in Rockman 3's development. The original project leader for MM3, Patariro (who allegedly was part of the rocky development the game had though they never went in depth about it), passed away quite a few years ago. If this is going to be yet another 'yes-man' book to Inafune's perspective then I'm good to give it a pass. That's sad to hear. The passing, I mean. Don't blame you on the yes-man thing.